There is no doubt that Android is a very popular operating systems and there are many fans of it. If you like more Android interface and colros than Windows, you can bring the look and feel of it on your computer. This one is for all the Android lovers out there. This theme is an awesome collection of Android features that you can keep staring at. The theme includes 10 beautiful and high resolution images that will be used as backgrounds. On account of Windows’ highlights, you can set up the photo position to either extend, fill or fit the screen, or seem tiled or focused, and additionally roll out the backdrops improvement at a particular time interim. Trust me, this is a beautiful theme that gives you a good feeling of Android. 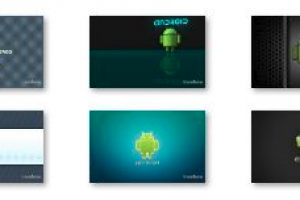 Android Windows 7 Theme is licensed as freeware for PC or laptop with Windows 32 bit and 64 bit operating system. It is in themes category and is available to all software users as a free download.